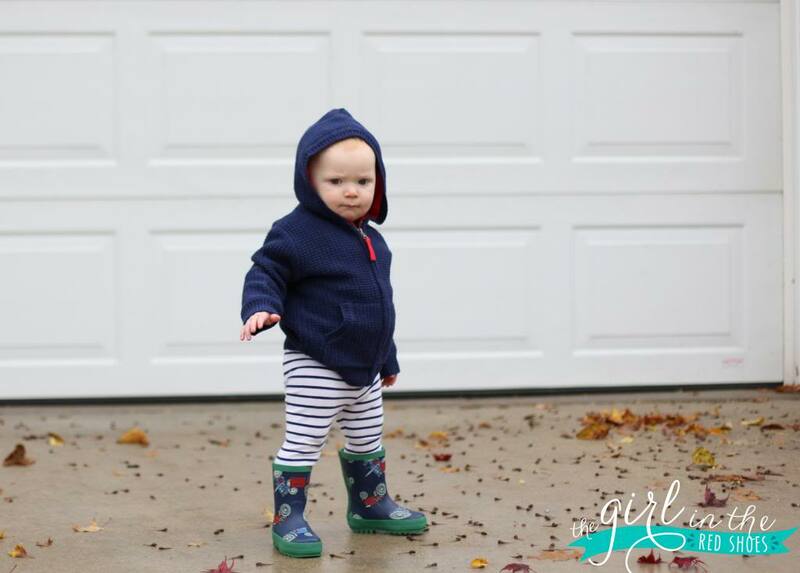 Yesterday it rained on and off all day…perfect excuse to bust out our rain boots from Joules! Hudson loved singing dancing in the rain. And of course also pretending to water the plants. 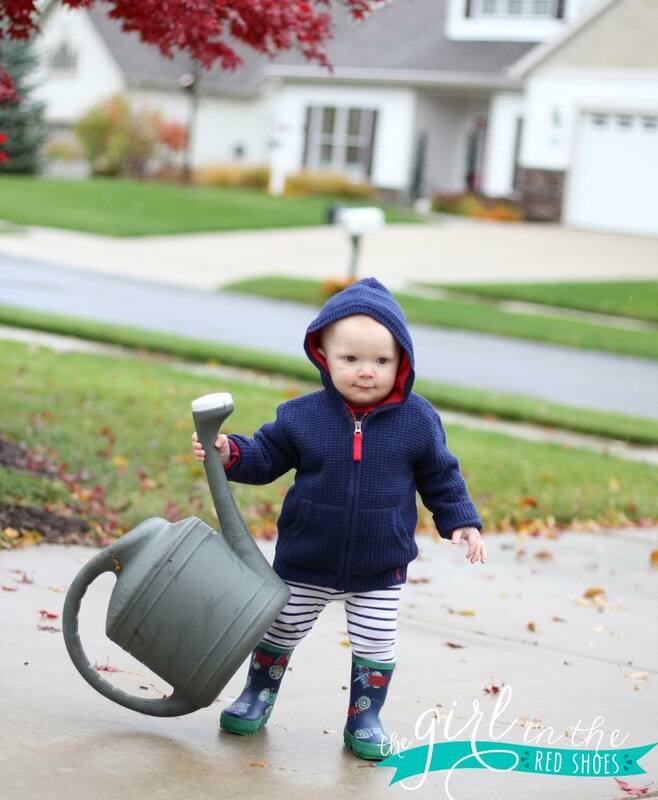 The kind folks at Joules also sent Hudson this hooded jumper….LOVE! The red detailing is my favorite part. Joules is based in Britain, hence the “jumper” in the title, which is beyond adorable. Hudson would make quite a cute English baby, don’t you think? 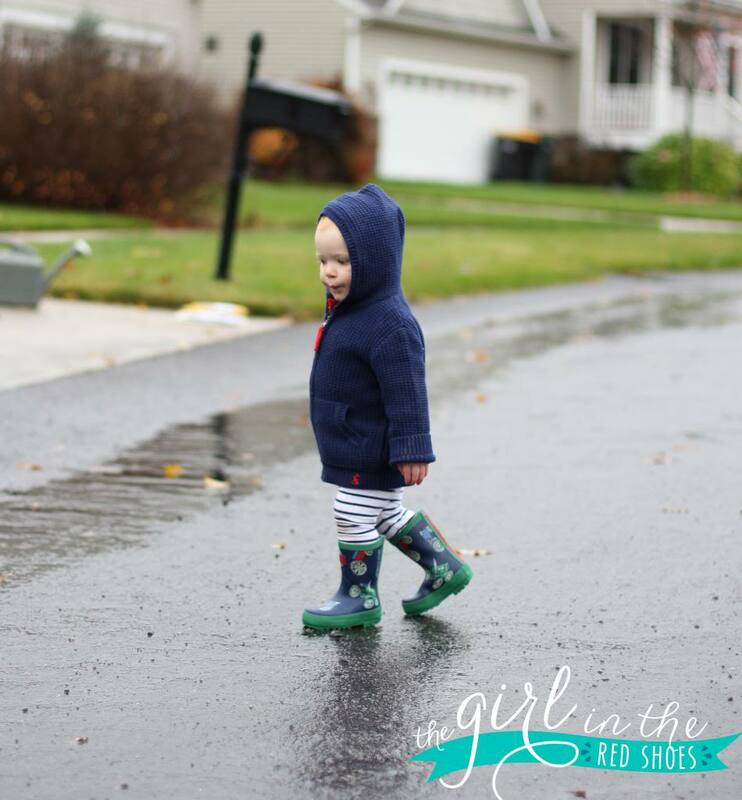 This kid could not get enough of splashing in the puddles. It made me SO excited for all of the rainstorms to come once he gets a little older. I love the rain and am so glad Hudson does too! 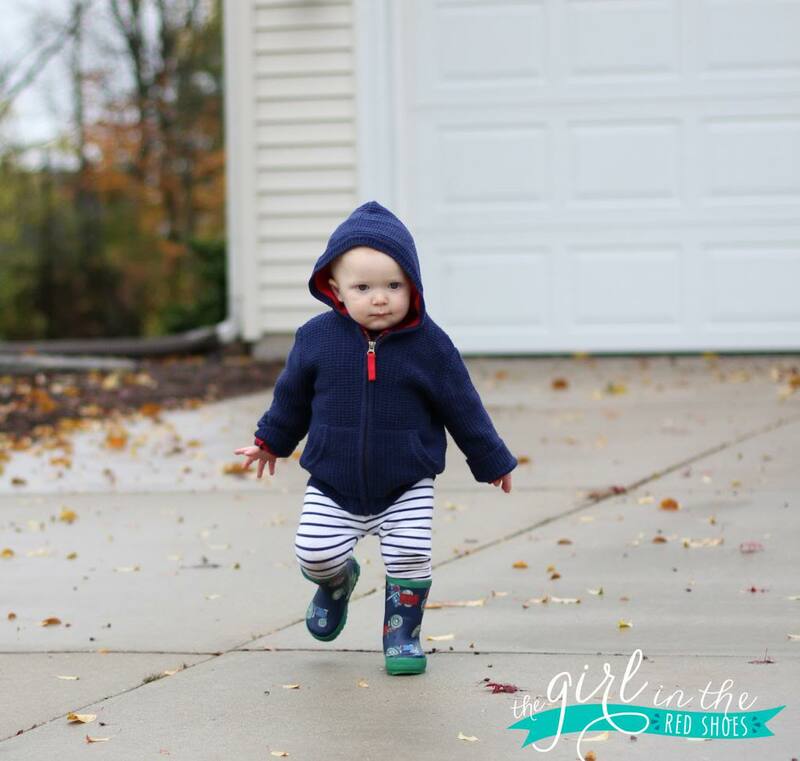 His boots have tractors on them….how cute is that!?! When did my baby become a big kid? 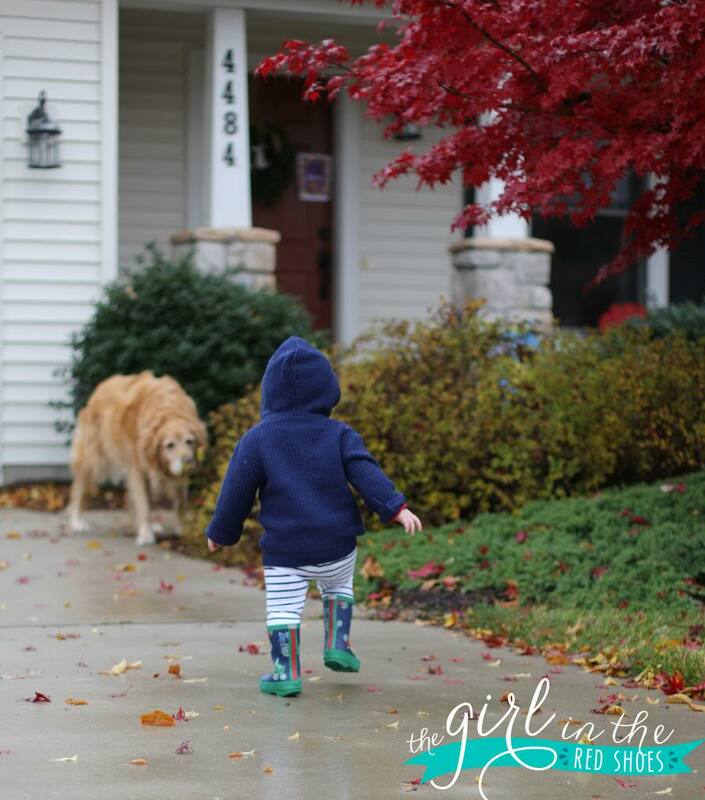 Even though it was raining it was such a pretty fall day! Wrigley got in on the fun too, of course. That face just kills me. 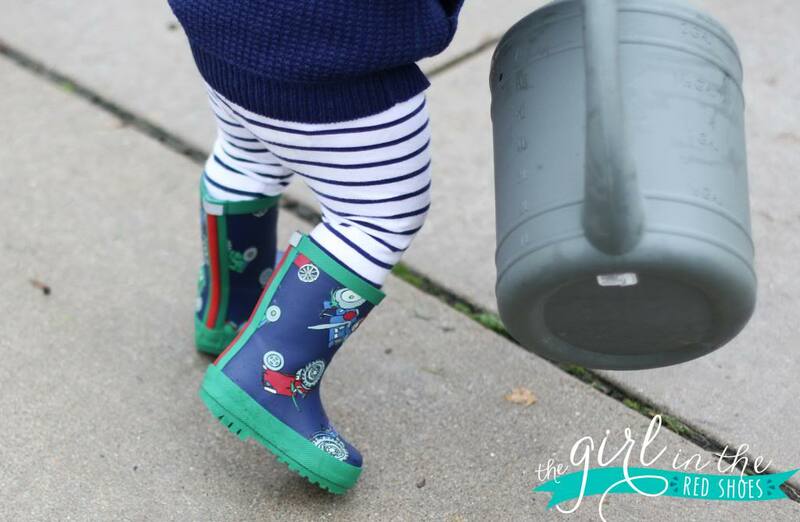 Cheers to rain storms, puddle jumping, and singing in the rain! 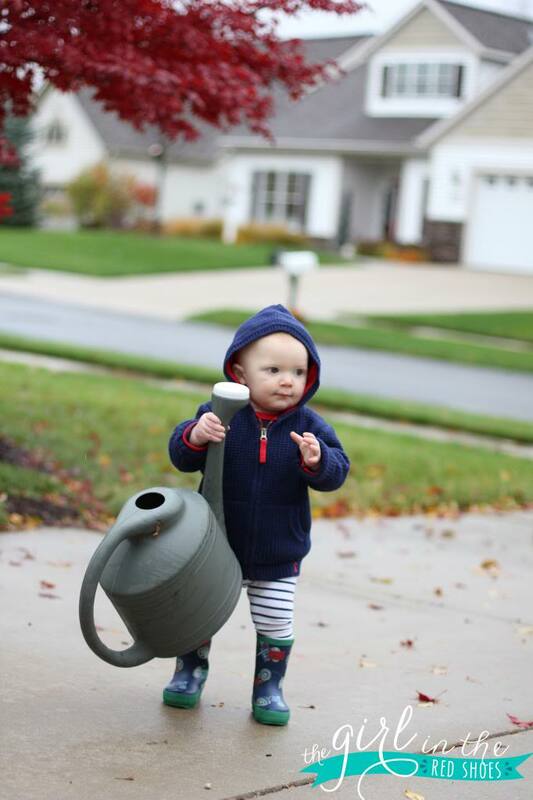 Hudson would be a cute baby anywhere:) He is rocking those adorable rain boots. And seriously, WHEN did he become like, 5 years old??? He looks so big! Loving the 'jumper' – I have a mini obsession with all things British, so I am just loving that! Hudson's cuteness is just off the charts! 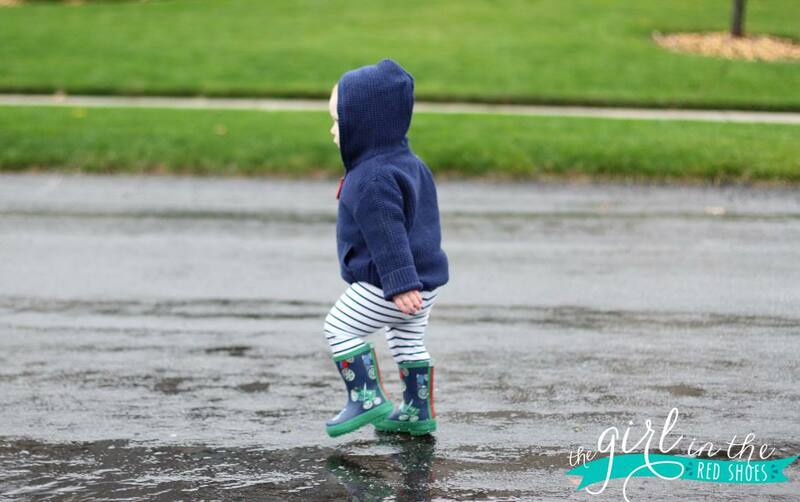 Splashing in the rain is so much fun! I've got to go out and buy Owen some rain boots ASAP, because I think he'll LOVE jumping in puddles. 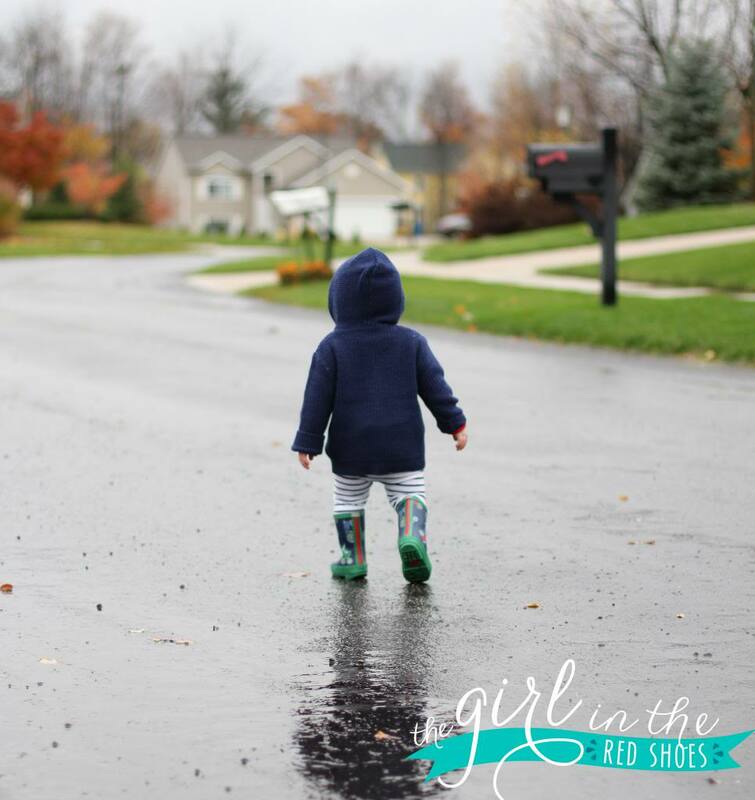 bring on the rain boots! i swear they're the PERFECT babe accessory!! He is just adorable! And do they make that hooded jumper in adult sizes?! It looks soooo comfy! So beyond adorable!! And we love that company too…has the cutest stuff! OMG so cute. I just want a baby so I can dress him/her up… well and love to pieces as well, guess I will just have love seeing yours grow up. I'm glad you and Hudson enjoyed your special time in the rain together. Love his boots! I was just looking for cute kids rain boots! How is the sizing? Love this, he is just too cute! Hudson wears a size 4 shoe and is wearing a size 5 boot…it's too big for him but he doesn't seem to mind! oh dear this is too cute! 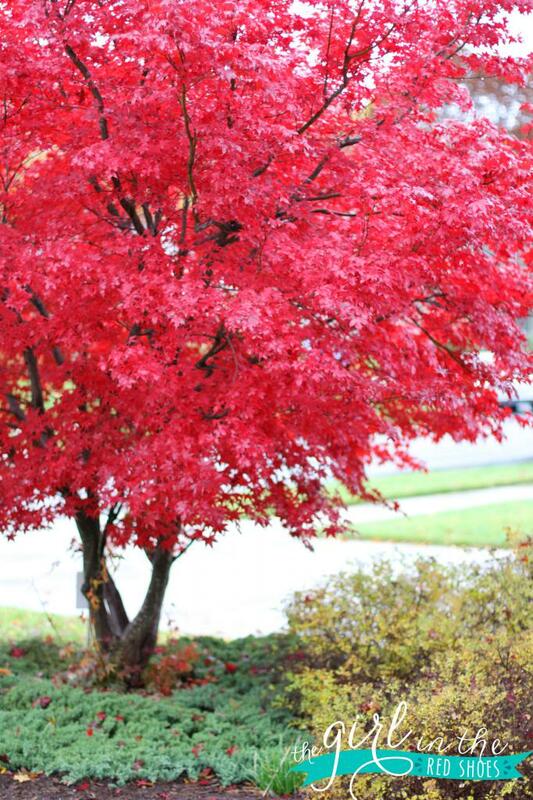 and that red tree in your yard?!? i wish we had a more brilliant fall! We just received our first Joules catalog in the mail. Their stuff is so cute. Seeing how great Hudson looks in their gear, we may have to splurge and buy a few things. love the tractor rain boots!! and playing in the rain?! I have such found memories too which we got more here for Callie to play in! Those boots are so great! i've been looking for boots for my son and couldn't find any I love. Love the pictures of Hud in the street. Boots are perfect.He is 110% boy. I see lots of mud in your future!